Kansas City, Mo. 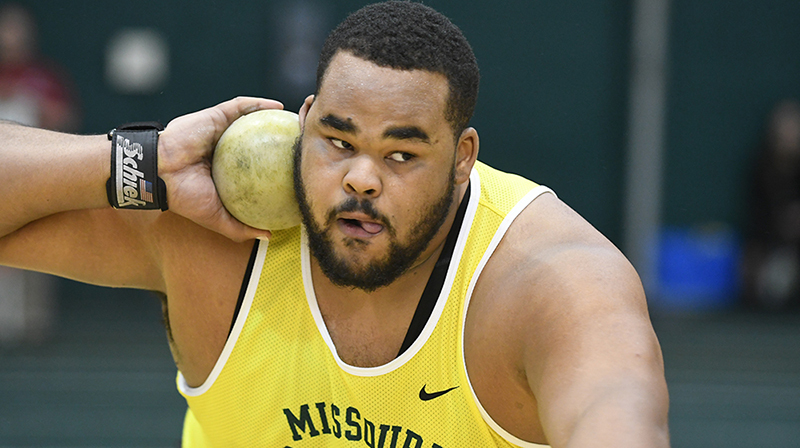 — Missouri Southern senior thrower Bryan Burns has been named the MIAA Men’s Field Athlete of the Week as announced by the league office today. Burns, a senior from Carthage, won the discus and picked up an NCAA AQ in the event this weekend as he competed at the David Suenram Classic hosted by Pittsburg State University. Burns broke his own school record in the event by almost six feet with a mark of 190-04. The mark is second-best in the NCAA this year and tops in the MIAA by nearly nine feet. Burns was also fourth in the shot put with a provisional mark of 57-10.50 and fourth in the hammer with a provisional throw of 194-05. Burns and the rest of the Lions will be split up this week with distance runners going to the KU Relays and all else going to Missouri S&T.